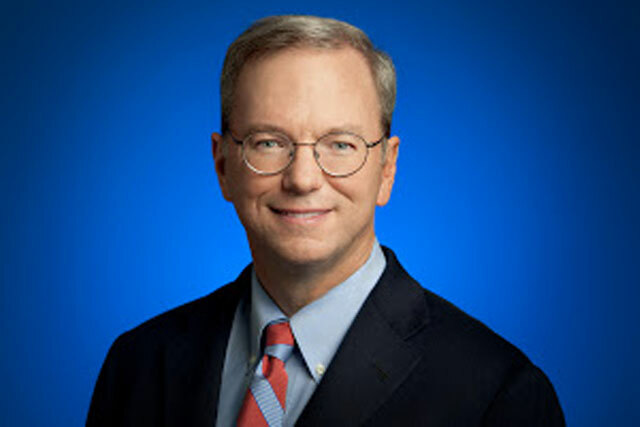 Google executive chairman and former chief executive Eric Schmidt took to the stage at SXSW interactive alongside co-author of 'The Digital Age' Jared Cohen, Google's director of its Ideas think tank, to discuss his views on privacy and the NSA, GCHQ, Russia and robots, reports Loulla-Mae Eleftheriou-Smith. "You should fight for your privacy or you'll lose it. As an example, the NSA has already said publically that 330 million people's metadata is being stored to target roughly 57 people, of which one was maybe a terrorist, maybe not. I'll let you guys decide whether that's an appropriate use of government power, and monopoly power. "This particular facility called the section 215 was authorised in the business records act, which was interpreted by a very clever set of lawyers to include metadata collection. That authority expires in June 2015, and I think it's pretty unlikely that will be renewed. "In democracies, companies will find the right balance for themselves. In America we are having that debate right now and my opinion is that in 2015 [this authorisation] will not be renewed. "In Britain, nobody cares about this at all – it seems to be perfectly fine, they're used to being under surveylance on London streets. In Germany people are aghast at this and they view it as a horrific invasion of privacy, and in Brazil people are also very concerned about this. All four very functioning democracies, with different outcomes." "The Snowden revelations included a report that the GCHQ, which is the British counterpart [to the NSA], had intercepted traffic between our data centres and they had decoded internal protocals to try to figure out what people were doing at Google. "There is no evidence of this being used for any outcome that we know about but the very fact that they would do this was suspicious to us and we were very upset about it. "The solution to this is to encrypt data at multiple points of source and so we had already been in the process of doing this and we accelerated our activities. "We're pretty sure right now that any information inside Google is safe from the government's prying eyes, including the US goverment's." "We went to visit Julian Assange when he was on his, shall we say, GPS locator service, and you can read the transcrpit of our meeting because he leaked it. "In any case, one of the key parts of the conversation, which you can read online, is the core question of who gets to decide [about what gets leaked online]. "Both [Jared and I] felt that who gets to decide what information is public is a pretty fundamental issue in a democracy, and our general view is that we don't want random people leaking large amounts of data. "We don't want random people leaking large amounts of health records or tax records - I don't think that serves society. It's better to have other mechanisms for whistleblowers that don't involve the data permanence problem; because the information, once disclosed, is there forever and can be used against people." "Our core belief is that humans are good, and that giving them information gives them the strength to understand both the strengths and the limits of people around them. If you stop or prevent that, you are doing a tremendous disservice to people. "We're very worried that not only will balkanization [of the internet] occur, but it will occur gradually in such a way that people don't notice it. It looks like people are going to use child safety as a starting point. "Everyone in this room is infavour of child safety, and as an example, Russia just passed a law that is nominally about child safety, allowing for the pretty much arbritary take down of [online] videos. I was shocked when I studied the knowledge understanding of Russian children at eight and nine and 10 years olds were so concerned about opposition research speech. It's amazing how smart those Russian children are. "There is something strange, or at least duplicitous, about starting from something on which we all agree and using it for different purposes." "If you look at the latest studies of American economic growth, 99% of the people saw essentially no economic improvement over the last decade. The average person has not benefitted from the globalisation and the automation of the technology. "In San Francisco the gentrification story has been going along for a very long time, but its clearly gotten worse. The longer term solution is to recognise that you can't hold back technology progress – you're much better off in society to take advantage of technology. "America in particular is enourmously creative and I think for each and every one of us, becoming in favour of more education, more immigration, more capital formation, more creative variance, more areas that are allowed by regulation to be unregulated, so that start-ups can actually flourish in areas such as telecommunications and energy. We can get through this. "I'm much more worried about other countries – Japan in particular and Europe – where the eonomic structure, the companies and the culture does not favour entrepreneurship. "If you look at the solutions to the problems [people have with the growth of technology] which ultimately lead to severe joblessness, they all involve creating more fast-growing start ups – the gazelles as they're called – and its well established now that net job creation comes from new fast-growing start ups in any field to do something interesting." "There is a long-term trend away from farming to manufacturining, and from manufacturing to service industries. "The manufacturing jobs that have been eliminated in the last 20 years have been replaced with service jobs with lower incomes. If you look at automobile manufacturing, they make the same automobiles with far fewer people and with more robots. "Robots are replacing repetitive human tasks. This is progress. It has a displacement component but eventually it makes us more productive as a society. The same thing is about to happen with repetitive knowledge workers; that is people who don't have a particularly critical, creative or caring role. "There is a good danger that those jobs can also be automated by automated services. My own view is that in the automated world incomes will go up for people who work with computers, work with robots, and it will go down for people that don't embrace them, and that's a problem. "If you look at manufacturing today there are shortages of sophisticated manufacturing skills. The new devices that people use to manufacture things require very sophisticated operators and the existing workforce doesn't have those skills."